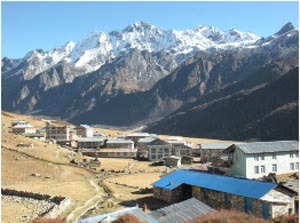 The Government of Nepal is hosting on the occasion of the UNFCCC COP18 a side-event on “Mainstreaming mountains in the climate agenda – the context of the Mountain Initiative and Rio + 20.” The event will be held on Thursday 6th November, 20.15-21.45 in Side-Event Room 1, at the COP18 conference venue in Qatar, Doha. Mountains provide key services and goods for humankind. They cover 27% of the earth’s land surface, are home to 12% o the world’s population and provide freshwater to over half of humankind. They are uniquely affected by the impacts of climate change, and their vulnerability has not been adequately recognised and addressed by the international community. This is the message the Government of Nepal hopes to communicate at this year’s meeting of climate change negotiators. It will be an opportunity for mountain regions and people to convene and discuss common challenges and opportunities for adapting to the impact of climate change. At the successful International Conference on Mountains and Climate Change in Nepal in April 2012 a Kathmandu Call for Action was agreed among participating Mountain Governments. At the Doha side-event a work programme will be set for achieving the vision outlined in this document. The Hon. Minister for the Environment, Science and Technology, Government of Nepal will be hosting the side-event with Mr Keshab Bhattarai, Secretary for the Environment welcoming and introducing a number of speakers from across mountain regions. This side-event is being organised as part of a CDKN project, being managed by IDS-N, aims to strengthen the Government of Nepal’s engagement with the UNFCCC.